MANILA, Philippines - The Commission on Elections (Comelec) has trimmed down the official list of presidential aspirants after releasing the result of Senator Grace Poe’s disqualification case filed by lawyer Estrella Elamparo on Tuesday, December 1. Poe has been disqualified as confirmed by Senator Francis Escudero, Poe’s supposed running mate in the coming May 2016 elections. "Wherefore, in view of all the foregoing considerations, the instant Petition to Deny Due Course to or Cancel Certificate of Candidacy is hereby granted," – COMELEC resolution on Grace Poe’s candidacy. The 35-page resolution made by the second division of COMELEC stipulated that the lady senator failed to meet the obligatory ten-years minimum residency required for an aspiring presidential candidate. The commission stated on its ruling that Poe started only to become a Philippine resident again since July 2016 after applying for a dual-citizenship status. 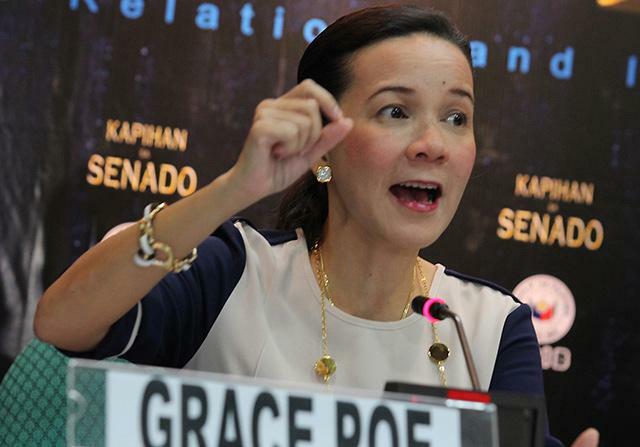 The 2016 election will be held on May, just two months short for Poe to complete the required residency period. Poe's spokesman, Valenzuela Mayor Rex Gatchalian told in a press conference they will present all legal remedies to prove that Poe is qualified to seek the presidency. Meanwhile, Poe expressed her disappointment on Comelec's decision and said to fight for her rights. “I am disappointed in the decision, but this is not the end of the process. We will continue to fight for the rights of foundlings and the fundamental right of the people to choose their leaders,” Poe said in a statement on Tuesday after the Comelec’s 2nd Division granted a petition seeking to bar her from the race. “I maintain that I am a natural born Filipino and have complied with the 10-year residency requirement based on settled applicable jurisprudence,” she added.